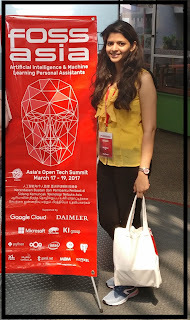 I got an opportunity to represent KDE in FOSSASIA 2017 held in mid-March at Science Center, Singapore. There were many communities showcasing their hardware, designs, graphics, and software. I talked about KDE, what it aims at, what are the various programs that KDE organizes to help budding developers, and how are these mentored. I walked through all the necessities to start contributing in KDE by introducing the audience to KDE Bugzilla, the IRCs channels, various application Domains, and the SoK(Season of KDE) proposal format. 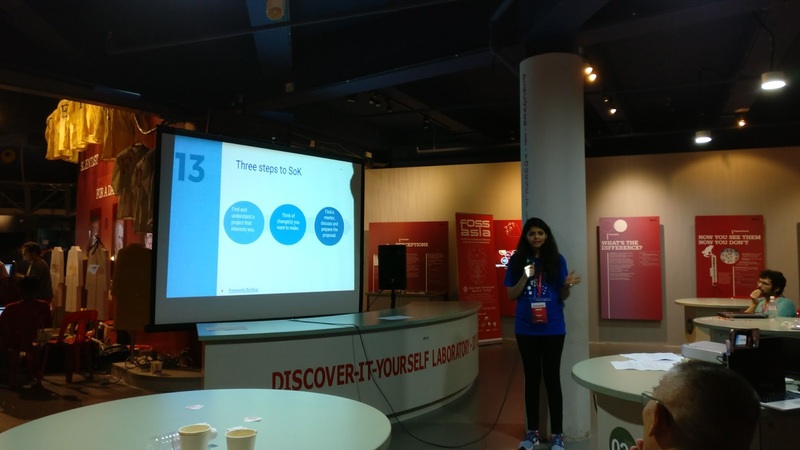 Then I shared my journey in KDE, briefed about my projects under Season of KDE and Google Summer of Code. The audience were really enthusiastic and curious to start contributing in KDE. I sincerely thank FOSSASIA for giving me this wonderful opportunity. Overall working in KDE has been a very enriching experience. I wish to continue contributing in KDE and also share my experiences to help the budding developers to get started.